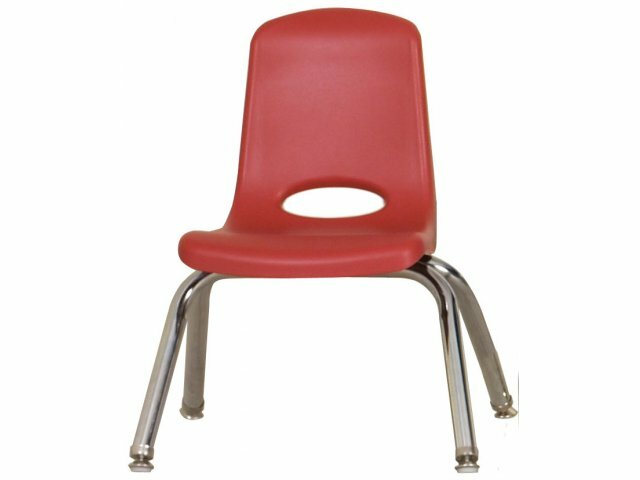 The height of these 12" school stacking chairs with chrome legs is ideal for preschool and kindergarten classrooms. 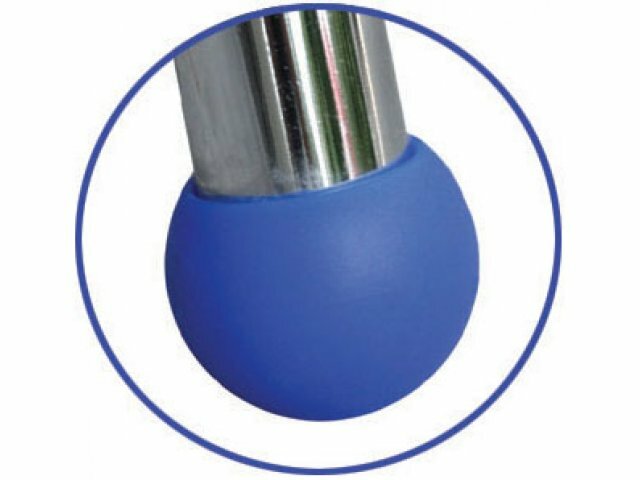 Available with standard nylon glides or protective ball glides. 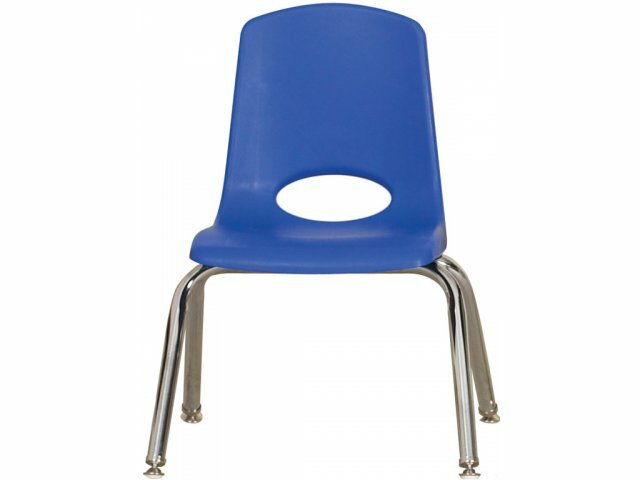 Looking for school chairs that offer you quality and aesthetics? 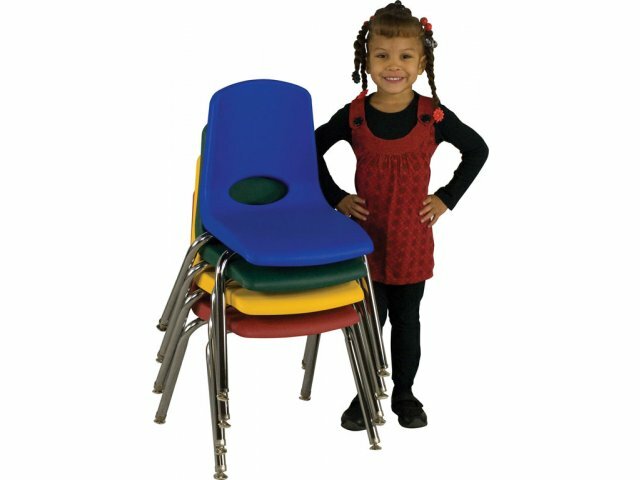 These school stacking chairs from ECR4Kids fit the bill. The molded seats feature vented backs for air flow and reinforced ribbing for extra strength. Legs are made of quality steel, and seats feature steel lower-back support. The seat surface is smooth and free of any penetrating hardware for both comfort and safety. 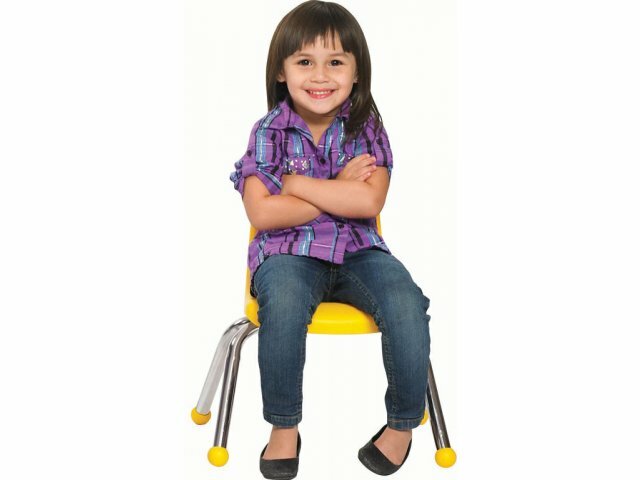 Available in a wide range of heights and options for leg, glide and seat colors, these school chairs will look terrific in any classroom, from pre-K through high school. 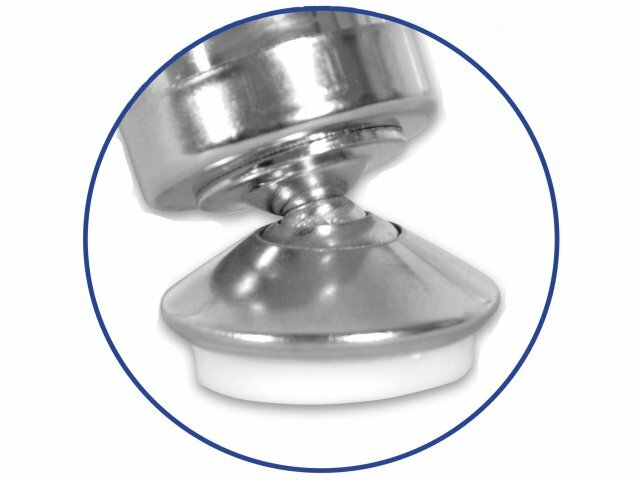 We recommend ball glides for carpeted floors, and swivel glides for hard floors. Customizable Look: Choose between standard nylon glides, or color-coordinating ball glides that protect hard floors and carpeted surfaces. Comfortable: Vented backs and smooth seats make these chairs highly comfortable. Durable: Reinforced ribbing, steel legs, and steel lower back supports provide extra durability. Safe: Hardware doesn't protrude through the seat surface. 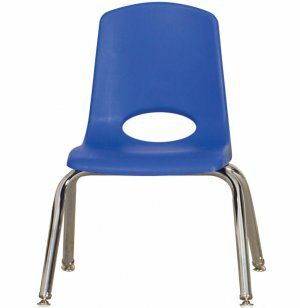 Wide Height Range: Chairs available in a variety of heights – from 10 to 18", in 2" increments. Great Colors: Choose from a selection of bright, beautiful colors. Optional Glides: Snap-on felt glides available for chairs with Nylon Swivel Glides to protect your floors. Ships 6 per carton; prices are per item.